Many small businesses rely on vehicles for the day-to-day running of operations – be it two vans or two hundred cars. But despite the advantages these vehicles bring, having a fleet can be expensive and presents a number of logistical challenges. Management of your business fleet is essential in ensuring maximum efficiency and cost control. How does fleet management work? Who is a fleet manager? Fleet management is the method by which business owners manage a fleet of commercial vehicles to ensure it runs efficiently, cost-effectively and in compliance with government regulations. Businesses from a variety of sectors make use of fleet management services, including couriers, waste management, and taxi firms. At its most basic, managed fleet services use business vehicle tracking software to monitor vehicles’ locations. Using GPS, these systems can measure a range of metrics, including driver behaviour and vehicle use. Some even include remote security features to help prevent theft or find stolen vehicles. Fleet management also includes a policy of maintenance and servicing, to ensure your vehicles are always in good working order. A fleet manager will either be you, the business owner, or someone you appoint to look after the fleet. A fleet manager’s responsibility is to be in control of logistics and oversee the day-to-day functioning of the fleet. Making sure deliveries and collections are on schedule – and that your drivers get the necessary rest – is crucial. There are many different fleet management software providers to choose from. Thorough research of their various offerings will help you decide on the supplier that best fits your needs. How the system integrates with other key small business platforms including HR, finance etc. Learn more about fleet management software here. There are a number of factors to take into account when managing costs, including running costs, fuel, and tax. It’s good to have an understanding of how your costs should stack up, so you can budget appropriately and check for anomalies. Ensuring the fleet is cost effective is the responsibility of the fleet manager. Read our in-depth guide to fleet management costs here. A grey fleet is when employees use their own private vehicles for business travel. Around 14 million drivers use their own vehicles for work in the UK. As a business owner, you’re still legally obliged to manage those cars and their drivers. If you haven’t checked the cars are insured and roadworthy, and that the driver is fit to drive, then you could be liable for prosecution. Find out more about managing a grey fleet here. The above is an overview of the practicalities of running a business fleet. Thanks to the latest technology, it’s never been easier to keep track of your vehicles and drivers, ensuring efficiency, cost-effectiveness and compliance. 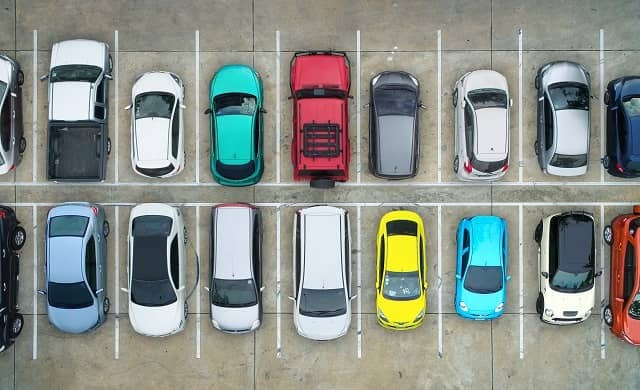 In the following pages, we take a closer look at some of the key issues you’ll be facing when managing a fleet for your business.